In the beginning of the project. 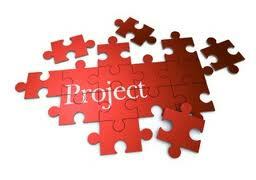 The project is running and the Project Manager is being changed. The project is running in the absence of a Project Manager. The most common situation in which a Project Manager would have to take over the project would be in the beginning of a new project. Any professional Project Manager would be able to manage this activity in an effective manner by following the basic principles and procedures of Project Management. This can be made more effective, if the Project Manager is given an opportunity to be a part of the team during the Tendering Process. However the situation can be very tricky when the Project Manager would have to take over a project which is running in the absence of a Project Manager or when the Project Manager is being changed. In such a situation, the experience of the Project Manager can always come handy in addition to his knowledge of the basic principles and procedures of Project Management. The task of taking over a running project becomes more challenging when the Schedule, Budget and Scope of the project to be taken over are not under control. This can be further complicated if the project has been running in the absence of a Project Manager. Some of the important points to be considered while taking over a project are as given below. Handing-Over Note: If there project is being taken over from a Project Manager who is being changed for whatever reasons, it is always advisable to insist on a formal Handing Over Note which needs to be studied, discussed and agreed up on by the Project Manager handing over the project and the Project Manager who is going to take over the project. Special emphasis should be given to understand the reasons which, according to the Project Manager who is handing over the project, have led to the poor state of the Project. It should be noted that the person handing over the project may not be moving from the role willingly and for the most happiest of the reasons. The Project Manager should therefore understand this mentality of the concerned individual and handle the situation as well as the information received from him in a judicious manner. Pre-Project Takeover Study: While taking over a running project, a Project Manager hardly gets any time to do the pre-project takeover study as he has to manage the day-to-day requirement of the project from the first day. More often a Project Manager will have to carry out this study of the Project simultaneously while he is already on the job of managing the project. Considering the fact that the new Project Manger’s the level of knowledge with respect to the project is minimum during this period, it would be best to take the advice of the specialists or the respective team members as well as the concurrence of the reporting authority before any key decision is taken. During this period, the Project Manager should focus on reading the project documents such as Contracts/Sub-Contracts, Amendments to the Contracts/ Sub-Contracts, Meeting Reports, etc. Any ambiguities with respect to the contents in the project documents should be clarified through proper communication with the respective authorities and agreements/disagreements should be clearly recorded. Preliminary Internal Meetings & Interviews: Team meetings and interviews with the team members gives an opportunity for the Project Manager taking over the project to get many valid inputs which would be helpful in analyzing the causes for the state of the project as well as to judge the team spirit and camaraderie existing among the team members. It would help if one such preliminary meeting is held with the Project Manager handing over the Project in attendance and one in his absence. During the one to one interviews with the team members, focus should be to understand their view on the project status, causes for its state, suggestions to improve the project progress and ensure its success etc. These interviews will provide the Project Manager an opportunity to identify the disharmony among the team members as well as to understand the key aspects of the projects. This information obtained from such preliminary meetings and interviews should be used wisely and any views/opinions based on high emotions should be promptly kept aside. Meeting with other Stakeholders: Introductory meetings with the stakeholders should be seen as an opportunity to understand their expectations and apprehensions with respect to the success of the project. Effort should be made to ensure that the stake holders feel free to open up and give a true feedback regarding the project. The inputs from key stakeholders such as the Customer, Top Management of the Organization, etc. should be treated with utmost importance and associated confidentiality. Planning – Short Term and Long Term: On completion of the preliminary interactions and project study, it would be good to formulate a short-term and long-term plan for the project as a Project Manager. The short-term plan should focus on the activities required for successful taking over of the project, deliveries scheduled in the initial period, understanding the status of the project with respect to the project scope, schedule and budget. The long-term plan should focus on the actions which need to be taken to ensure that the final outcome of the project meets the agreed expectations of the key stake holders. Baseline Assessment: A realistic assessment has to be made to see the state of the project with respect to the agreed baseline scope, schedule and budget. The result of the assessment should be reviewed with the key stakeholders and causative analysis is to be carried out for any major deviations. The practical feasibility to correct the deviations to meet the baseline scope, schedule and budget requirements is to be ascertained and if required the Contract may be revised with the concurrence of all stakeholders to redefine the baseline. This is a very important activity for the new Project Manager as it will be the basis of the KPI to assess his performance. Any corrective actions planned to achieve the initial Baseline is to be documented and circulated to all concerned. The long-term plan for the project may be re visited if the Baseline or the Contract is revised at any stage. Reviving the Relationships: In most of the cases of running projects which have necessitated appointment of a new Project Manager, it can be invariably seen that there is a communication failure among the stakeholders which have strained the project relationships. In such cases, the Project Manager should formulate a communication plan on priority and ensure that it is strictly followed. The communication plan should be prepared in such a manner to ensure the permitted level of transparency among the stakeholders which shall lead to the buildup of trust and better cooperation among the Project Team. Communicating the Project Plan: Once the Project Manager has completed the process of studying, assessing and understanding the project and project stakeholders for effective project takeover, the plan for the execution of the project shall be prepared and communicated to all parties with the concurrence of the top management of the organization. Meetings/ interviews shall be arranged as required to explain the plan to the Project Stakeholders and to mutually share the expectations and apprehensions of all parties. Once the plan is understood and agreed, the Project Manager needs to ensure that all the stakeholders follow the plan and contribute towards the success of the project. The practical aspects of Project Management mentioned above shall definitely help the new Project Manager to take over the project effectively for the benefit of all the stakeholders. It should be noted that a Project Manager should put that additional effort to be an exceptionally good “Listener” during the project taking over phase as the information collected during this period will be very helpful and crucial in formulating the plans and procedures for the successful execution of the project.